Thank you for visiting the RID Regions page! 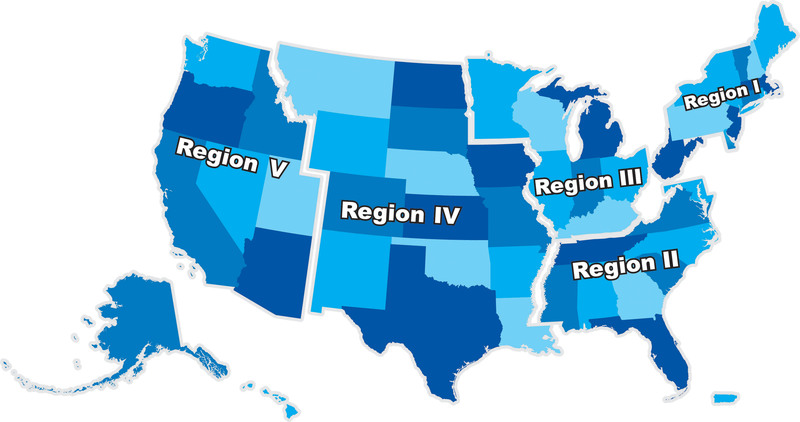 Learn more about the regions by visiting their Web pages! RID has five regions in order to ensure representation on the board of directors from across the United States. Each region elects one region representative who serves a two-year term. Learn more about RID’s Board of Directors. Each region has a presidents council that meets to discuss issues of the region and serves as a communication tool between the board of directors and the affiliate chapters via the region representative. Any additional information you need, please contact RID Member Services.